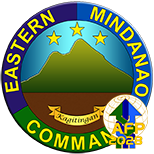 MALAYBALAY CITY, Bukidnon - 403rd Infantry Brigade (403Bde) and the Local Government Unit (LGU) of Bukidnon declared the province as Conflict-Manageable and Ready for Further Development (CMRFD) Tuesday, August 7, 2018, around 4:25 PM. The declaration was formally conducted through a joint signing of a Memorandum of Agreement (MOA) between the LGU of Bukidnon headed by Governor Jose Maria R. Zubiri Jr, and Brigadier General Eric Vinoya, Commander of 403Bde. It was agreed upon by both parties and the members of the Peace and Order Council of Bukidnon as indicated by the significant reduction of CPP-NPA terrorist attacks against civilians and civilian properties that include vital economic installations and government infrastructure projects. Also present during the MOA Signing were Brigadier General Cristobal Zaragoza, Assistant Division Commander for Operations of 4th Infantry Division (4ID); Brigadier General Antonio Rosario Jr, Deputy Commander of Eastern Mindanao Command, AFP and Police Senior Superintendent Benedicto Pintor, Provincial Director of Bukidnon Police Provincial Office. Further, the Sangguniang Panlalawigan members of Bukidnon graced the event to witness the signing of the MOA. In his message, Governor Zubiri mentioned that the CPP-NPA in Bukidnon has weakened as evidenced by the rising number of NPA surrenderees and the significant reduction of NPA-initiated atrocities. “Daghan na nagsurrender sa ilaha. 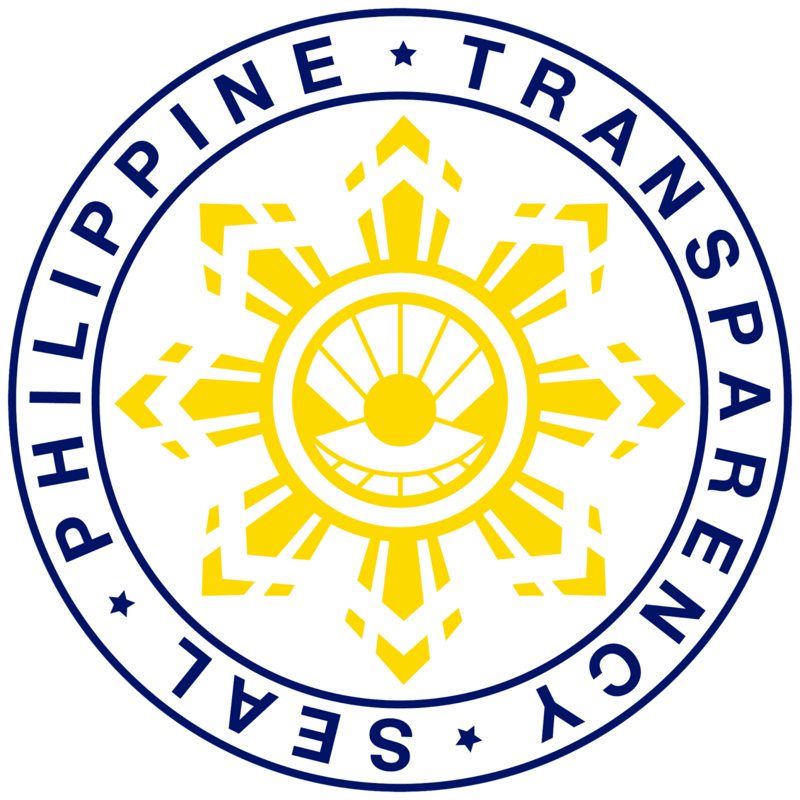 Ug sa pipila na ka bulan karon, duna ba moy nadungog nga naay giambush ang NPA? Wala," said Governor Zubiri. 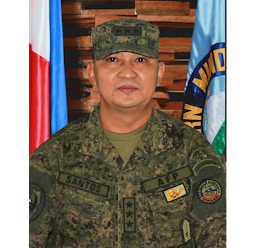 For his part, Brigadier General Vinoya considered the activity as a momentous event, as he expressed his gratitude to the Local Government of Bukidnon for its unwavering support to the peace and development initiatives of the 403rd Infantry Brigade in the province. “The declaration of Bukidnon as Conflict-Manageable and Ready for Further Development is a very important milestone in our journey towards peace, progress, and prosperity for the province and its people. I would like to express my appreciation and gratitude to the Local Government Unit of Bukidnon headed by Honorable Governor Jose Maria R Zubiri Jr., and the members of the Bukidnon Provincial Peace and Order Council, for their unwavering support to our peace and development initiatives,” said General Vinoya. 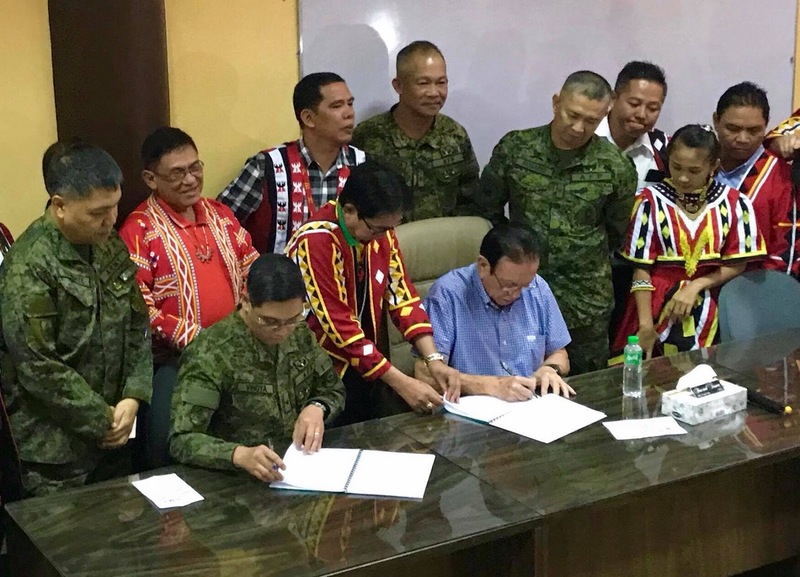 The signing of the MOA by the LGU and the Philippine Army unit in the area symbolizes that LGU recognizes the effort of the 403Bde that led to the significant decrease of NPA terroristic activities from 2017 to 1st Semester of 2018. 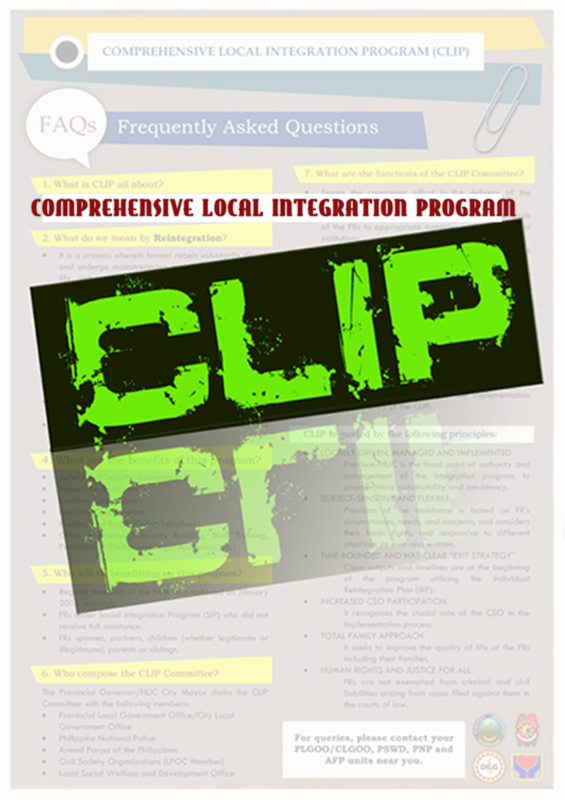 “The Declaration of Bukidnon as Conflict-Manageable and Ready for Further Development will open the province to start its socio-economic and developmental activities with the LGU taking the lead. This will also pave the way for more projects that are culturally sensitive for the people and will also attract tourists to confidently visit this province. 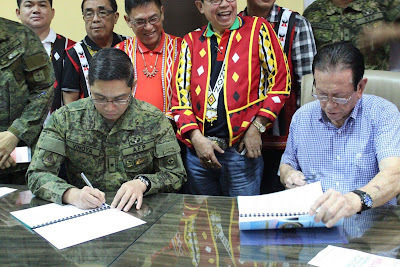 With this MOA signing, 4ID gains more confidence in doing our mandate of protecting the people and the community with the kind of support the LGU of Bukidnon has given to us.” Major General Ronald Villanueva, Commander of Army’s 4th Infantry Division said.